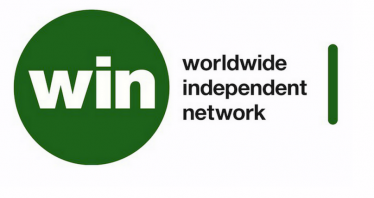 FMC extends congratulations to Alison Wenham on her new position as the Chief Executive of the World Independent Network (WIN), a UK-based organization that helps the global independent music sector respond to the the challenges and opportunities of today’s industry. Prior to taking the position at WIN, Wenham was the CEO of the U.K.’s Association of Independent Music (AIM), an organization she helped found in 1999 and helmed for 17 years. There, she grew the AIM while playing a role in the success of the U.S.-based sister organization, the American Association of Independent Music (A2IM). Alison lead the movement to get nearly 1,000 independent labels across the globe to sign on to the Fair Digital Deals Declaration, in which signatory labels commit to a higher standard of transparency and the sharing of revenue from the licensing of sound recordings with their artists. This has in turn inspired major labels like Sony Music and Warner Music to pursue similar artist commitments. In an era where metadata and rights management is becoming central to the industry’s commercial performance, the independent community will now be professionally represented in this important work. We wholeheartedly agree. While the transition means that AIM is now on the search for a new CEO, Wenham will continue to head the organization until a permanent top executive comes on board. FMC is very much encouraged of Wenham’s new role and we welcome her efforts to grow the presence of independent music on the international stage. We look forward to working with her, as well as everyone at AIM, WIN and other organizations that promote the value of independent music and do so in partnership with the artist community.